A good soundfield system enables all students in a classroom to hear equally well, wherever they are seated and in whichever direction the teacher is facing. Who do soundfield systems help? Teachers find they have reduced voice strain (and stress!) and students respond faster, which results in more efficient and effective lessons. Even a simple request to 'turn to page six' is responded to faster. The soundfield benefit. All students benefit in some way and those with various types of learning difficulties and minor day to day short term hearing variations (such as glue ear or even a cold) gain particular benefit. A natural sound. With the enhanced and distributed sound from a soundfield system, students feel they are being spoken to with normal voice inflection, rather than being spoken at, with a raised monotone voice. Learning to listen. A modern soundfield system will supply an even spread of sound around the room. Children are continually building their language base and do not have the same linguistic experience as adults, so they need to hear all the words clearly to help them understand. Studies show that children need about a 10dBlouder speech signal than adults, which is why a Connevans Soundfield system is so beneficial. Listeners are also surprised how relaxing the sound is. There is no need to shout. A classroom soundfield gives gentle amplification around the room such that, when you walk into the room, you almost don't know that there is a system in use - until the soundfield is turned off! A soundfield is an amplification system whihc provides an even spread of sound around the room. A typical 'soundfield' consists of a microphone worn by the teacher, a wall mounted amplifier and wall mounted speakers around the classroom. The teacher raises their voice in an attempt to be heard at the back of the class, risking voice strain. Clarity deteriorates over distance resulting in students at the back of the class not hearing as well as those at the front. Students may lose concentration through this. The teacher can speak at a normal level, knowing that all pupils can hear them. 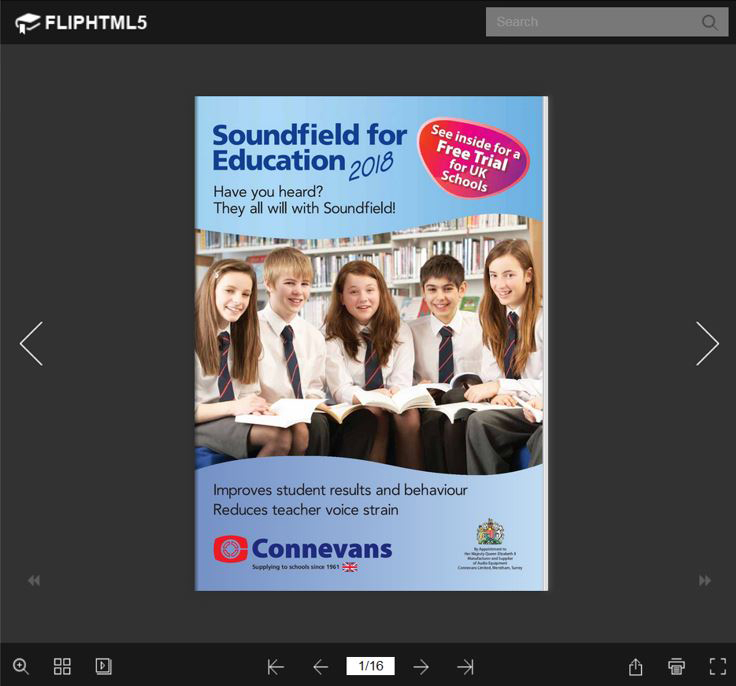 Soundfield amplification means that all students hear at the same level, wherever they are seated in the classroom. This will help to maintain attention of the students, thereby providing a better learning environment. To find out more about Connevans Soundfield Systems, including pricing information, take a look at our catalogue.